The Air Care Alliance is pleased to announce that we have been named as one of the ten recipients of the inaugural AOPA Foundation Giving Back awards! We were informed of the decision in September 2013 by Adam Smith of AOPA. In an email to Lindy Kirkland, Adam wrote, "We received dozens of grant applications, many of them from the individual groups. 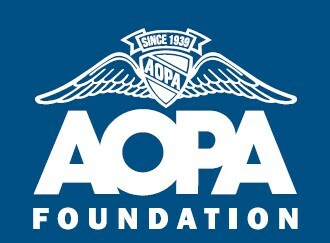 But I'm really glad AOPA is able to help ACA directly as it's very important to have an umbrella organization. " The award was made after a call for nominations went out in March of this year. LifeLine Pilots volunteer Brooke Hermann assisted the Air Care Alliance with the grant application and with gathering the initial documents required for the submission. It is due to her direct efforts that we were able to submit a complete package and tell the story of how the ACA is helping all of Public Benefit Aviation. "...I feel that the whole category of Public Benefit Flying is of huge value," said AOPA's Smith, "not just the great work that each group does, and the PR value to aviation, but the broader issue of keeping the pilot population active and engaged, with a sense of purpose to their flying." This sentiment was surely prevalent with the award committee as evidenced by the large number of the recipients being members of the ACA and other ACA-supported participants in Public Benefit Flying. Along with the Air Care Alliance, the other recipients were: Pilots N Paws; Challenge Air for Kids and Friends; Duluth Aviation Institute; Girls Inc.; Kentucky Institute for Aerospace Education; LightHawk; Recreational Aviation Foundation; Veteran's Airlift Command; and Young Aviators. "This program was developed to spotlight the good work being done in the GA community," said Stephanie Kenyon, the AOPA Foundation's vice president of strategic philanthropy. "It's also our way of supporting those groups that are making a difference through charitable programs that rely on general aviation." With this grant of $10,000 the Air Care Alliance intends to finalize the ongoing website update project and to provide seed funding for a part-time staff person to help provide day-to-day support for communications and administration of the ACA. We are very excited to represent each of the groups and organizations in the Public Benefit Flying community. It is easy to shine when we are telling the very compelling story of the great work that each of you and your organizations are doing every day. Please keep up the tremendous effort. You ARE making a huge difference in your communities and across the country.